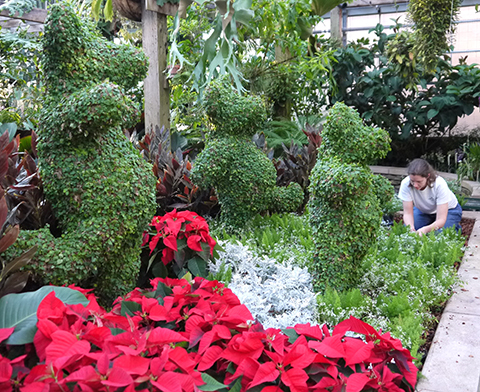 The Grand Opening of Garden Lights is this weekend and our staff has been working like mad to prepare the holiday display in the Orchid Display House. 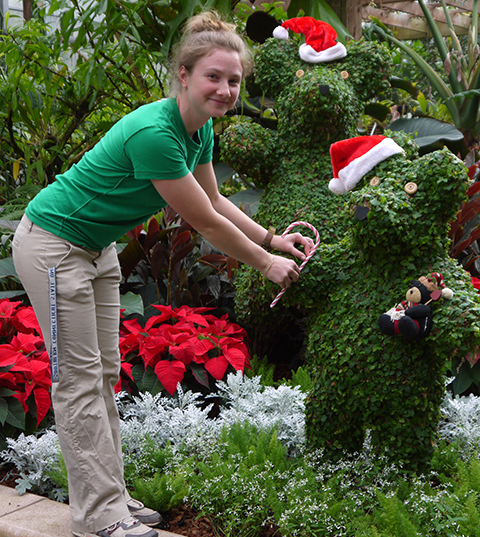 Sarah has been filling in the ground cover in front of the reflection pond. She has created a meadow-like effect with Euphorbia 'Diamond Frost' and foxtail fern. 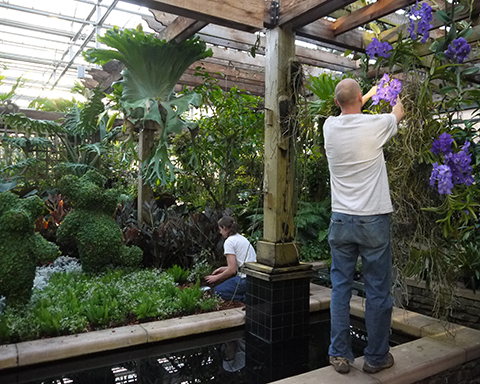 Matt is pictured above installing an arrangement of glorious blue Vanda hybrids, always a show stopper. Volunteer Amanda Middlemass putting the final touch on the new occupants of our Formal Bed (more about them in my next post). 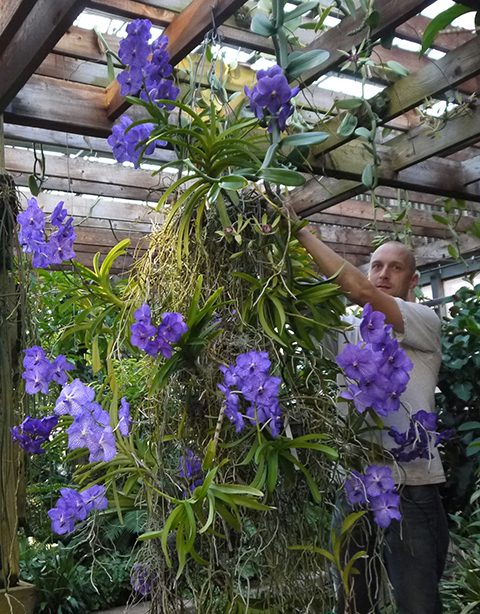 Last week visitors stood in line to photograph the blue Vandas. If you look carefully into the center of the mass of Vandas you can spot the tail end of a Vanilla imperialis vine with two magenta trimmed flowers. Stay tuned for more fun stuff this week as we race to the finish. The Grand Opening is this weekend!